I really like this show, but I miss the days when it was released on a reliable schedule. 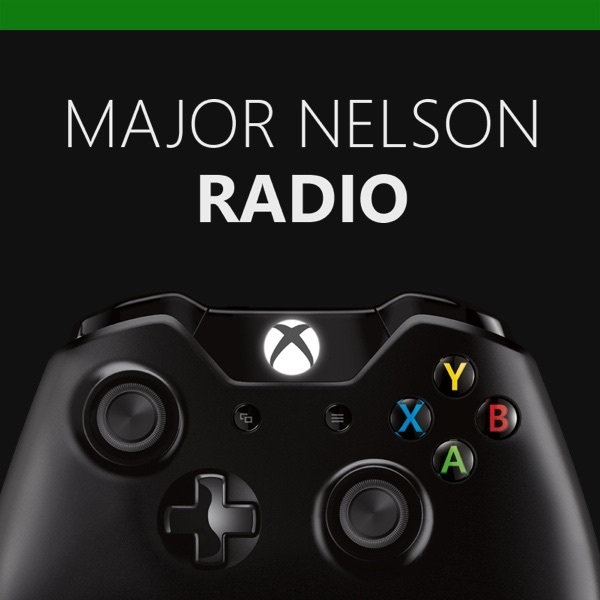 I used to feel a lot more connected to the Xbox and used to purchase almost all multi-platform for the console, and I really did base that connection on listening to this podcast each week. However, for about the past year I have found myself splitting my time more equally between all of our consoles. I've been listening to this for years. Many years. A few major issues. The first is that mMajor Nelson is very arrogant. He spends a lot of time stressing how cool he is and putting his cohosts down. I can get past that as long as I get regular Xbox updates. Nope. You don't get them. As of today it's over a month without a podcast. I get it...you are busy. But for a Microsoft podcast 0 removed from the company this is completely, utterly unacceptable. Hire somebody to do the shows. They don't even realize that they have loyal followers who have left because of their irregularity. Thanks. I'd rather listen to Giant Bomb because they actually put in the effort. How is it even possible that in 2017 we can go over 1 month without a podcast update that is the sole majorly sponsored update from MS ? They have the inability to understand that people want/need to hear what they have to say regularly. So basically: Major Nelson is inappropriately arrogant, doesn't put out regular shows, and has regularly displayed the fact that he doesn't care to keep people informed....go elsewhere. XOne bros, giantbomb, anything. Just avoid Major Nelson. He and his show are really bad. They sound like a bunch of grandparents talking to their uninformed unknowledgable grandkid. Their talking points are such a waste and the games they play are just bad (Yes Overwatch etc). They are more concerned about where they ate or the sounds of the game segment. No real news or inside information that millions don't already know. They are biased and only talk the MS brand so it is completely one-sided. This is just not worth your time. Assuming they get paid this is a joke job. This Nelson guy is like Milton who just has a position because he weaseled his way around and they can't get rid of him. Like seriously what is his contribution? Easy check for doing nothing. I have been listening to this podcast now going on six or seven years. Major Nelson (Larry Hryb) is very informative and has a great voice. I also love all the other members and guest he has on his show. This is definitely one of the best gaming podcasts out there for the Xbox. Every Time it downloads on my phone the podcast is only 1 minute long. Don't know where to report. It would be a good podcast if they spent more time talking about games and less about themselves. You could probably cut the time in half if Larry didn’t need to tell an off topic story every time someone makes a comment that reminds him of it. Laura is cool. She talks about games mostly. E let’s Larry throw him off track too much. They should find a better host who stays on the topic of video games. So I quit listening to this months ago and thought I would try again. Am I the only one that is completely annoyed by Laura!?? Her voice totally contrasts and destroys the whole experience. Sorry will try again hope she's gone!! Or maybe change her mic, turn it all be way down or off. Please!!! If you haven't been listening to this podcast for awhile, you might not appreciate the banter of the personalities. You also wouldn't be wrong in thinking that, as Microsoft representatives, they never have anything bad to say. But they're always honest with their reviews — they just choose to talk about the games they like, and not the ones they don't. It's an upbeat show with enjoyable characters. You can easily tell that the opinions on this podcast are very biased it seems they are fans of almost everything microsoft and xbox do because they are employed, there is no humor and often find myself laughing at the cast instead of with them. Playstation has a better podcast as it is not as biased and fake as this one, but i recommend listening to igns xbox podcast for your xbox fix not this one. So i've now given the show a few more episodes to win me back, it hasen't. The amount of marketing/pr that now pervades the show is staggering. At this point it's pretty evident that either Larry/Jef or someone above them lays out what needs to be cheerleaded in regards to Xbox or Microsoft that episode. Do not listen if you want to know the inner working of Xbox. Do not listen if you want opinions. I'm still planning to revisit the podcast in a year or so. I'm hoping that time will temper the rah rah nature the show has become. But for now I'm done. This podcast is boring to me, sorry. Can't wait for this podcast to come out each time!!! Makes the drive home not as boring. Always look forward to it. Makes dish washing less of a chore. Every week I feel like I head into Microsoft's head quarters and get a feel for what they think every week. It's a pleasure to spend a little time per week. They do a great job over all, but I wish they examined games more thoroughly so I can effectively decide what I want to buy. What are the new features?, improvements or what they took away on sequels. The only time I really get a really good insight on games is when they interview game developers selling their games. There are episodes that are really captivating. Larry does a great job interviewing game developers and its a fun and informative listen. However the other 60% of the show is just spam. Larry, E, and Laura may sometimes go on a 30 min. rift about their latest expensive gadget (which won't relate to gaming or the topic). In fact most of the time Larry, E, and Laura joke about inside incidents in their multiplayer game endeavors, which may be funny to them but it isn't to the audience. This show really is hit or miss. Some1 please teach "e" how to breathe when on a podcast so I don't have to listen to his nose whistle anymore. It's disgusting. Laura is def the best part of show, seems like the most down to earth of the crew. Episodes can be hit/miss. I dig the show and a lot of the interviews (Mars landing episode was superb), I am however, a bit jealous of all your free expensive stuff. I see a lot of people complaining about the gang talking about their personal lives more than games. Personally I love that they talk about things other than just games and I feel like I'm listening too friends chatting than a group hired to sell a product. Major,E, Lollipop please keep up the great work love your show. It's not a bad podcast, the seem like they no what they're talking about. I just wish they spent much less time talking about non video game related things. I don't care u fixed the wiring in your house over the weekend or that u liked this movie you saw. Just talk about video games, it's a VIDEO GAME PODCAST. Best podcast I listen to.keep it up! Consistently the best podcast I am entertained with weekly. The genre's gold standard; thanks to the dynamic of Major, supported with the intelligence and whit of LollipOp and 'E'. After listening for several years I still look forward to each week's episode. Success can be measured by a show that can operate with the host(s) alone; you have that here, in addition to being treated to respected industry leaders as guests on a regular basis. Keep up the excellent work! I wish him prosperity in his personal life. Business wise, he made some huge errors in how he handled his department imo. I'm really impressed with this show. I was expecting a transparent marketing push of all things Xbox, but it's genuinely entertaining and has a good dialogue between all the show members. Plus Larry Hyrb's natural charm and skill at hosting works here just as well as it does on the Inside Xbox and similar videos. The other two major Console companies could learn a lot from this show and approach if they wanted to be more relatable in the west. Funny and fun to listen to. I check weekly to see if new podcast is available and get do disappointed when there isn't! Keep rocking guys.. You're an asset to the company and a great face for gamers worldwide. Only negative thing I can say is you don't record a new show daily lol. I listen to them all!!! Hello Major and crew. I am 38 and was able to hear the buzzing noise from Laura's device. This is a great podcast for any gamer. Yes it's Microsoft heavy content but it's still good for PS or PC gamers. Quality is top notch and while some interviews can be a bit stale, that reflects the time of the year and current game releases. My favorite section would have to be their current games they're playing. Funny, informative, and worth a listen every week. Only cons are the mid podcast interviews are sometimes dull, and they are MS employees so they tend to tow the company line. However, since I love everything about XBOX, Kinect, and XBOX live, this podcast is perfect!!! If u think it's too formal . Try "Attention Deficit Order podcast .they r funny. Only podcast I listen to. Yeah it's that good.